A loyal cat has been bringing his owner small gifts everyday in a show of affection. The catch? The cat's owner has been dead for over a year. Meet Toldo -- a cute, 3-year-old black and white cat living in Montagnana, northern Italy. According to the Corriere Fiorentino, Toldo has been visiting his owner -- Iozzelli Renzo, who died on September 22, 2011, aged 71 -- every day for the past year and leaving small presents at the grave. "Even today I went to the cemetery with Toldo. On the way back, someone I know told me the cat has already been there early this morning," Renzo's widow, Ada, told the Corriere Fiorentino. The next morning, Ada went to the grave again. "We went to the cemetery with my daughter and found a sprig of acacia on the grave. I immediately thought that it was the cat, but my daughter was convinced that I was just in a very emotional state at that moment," she told the news source. That night, however, Renzo's son returned to the cemetery and found Toldo standing guard at the grave, reported Dreuz.info. Ada says that her late husband shared a particularly strong bond with Toldo -- He'd adopted the feline from a cat colony when he was just 3 months old. 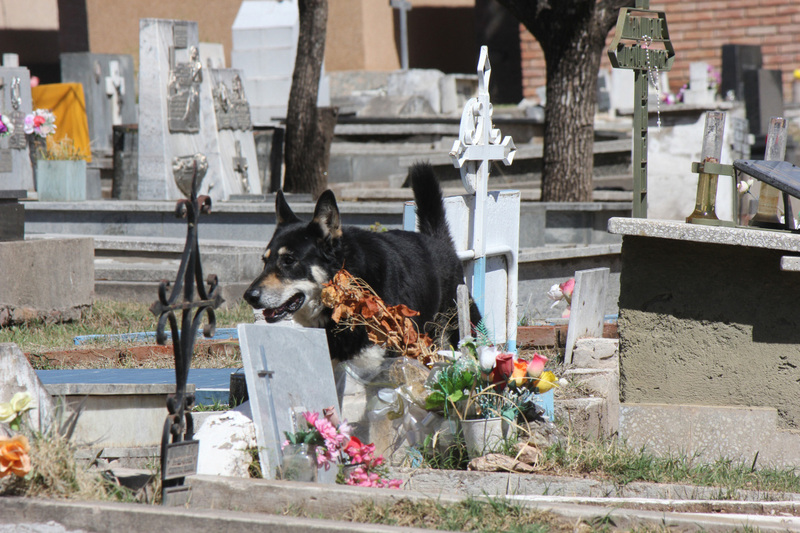 "There are insensitive people who send him away with stones or other things, convinced that the presence of an animal in the cemetery is almost a desecration," she told the news source. "My husband was very affectionate with him. Renzo loved animals. It's almost as if Toldo would be grateful. He is a special cat, one can not help liking him, " Ada said.